The Cincinnati Reds and Milwaukee Brewers go head-to-head for the first time this season Monday night at Miller Park. It’ll be the first matchup between the two teams since they combined to hit an incredible 72 home runs in 19 games last season. Only the 1961 San Francisco Giants and Milwaukee Braves racked up more in a season series (73). Hall of Famers Eddie Mathews and Hank Aaron paired up for 14 dingers against the Reds that year. First baseman Eric Thames engraved his name in Brewers history last summer when he slugged 10 moonshots — and eight in the month of April alone — against Cincinnati in 2017. It’s the most for a Brewers player against a team in a single season. Unfortunately for the Brewers, Thames is reportedly day-to-day with a groin injury. He left Sunday’s 3-2 loss to New York in the third inning. With half of April remaining, Thames has a team-high five homers after tying for the MLB lead with 11 homers in MLB’s opening month last season. 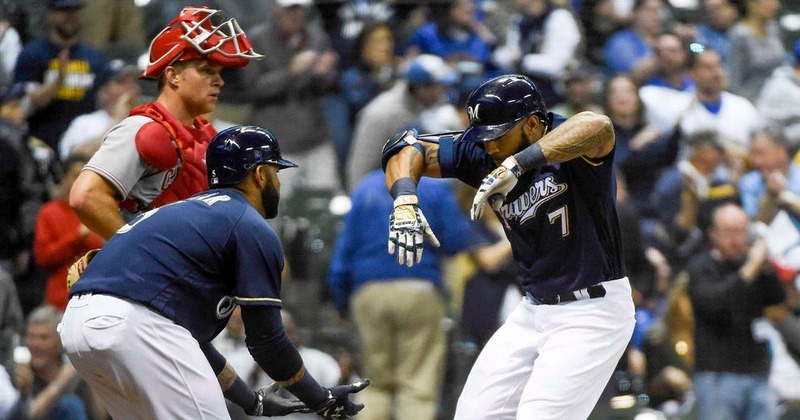 — Milwaukee won 11 of 19 matchups with Cincinnati last season and went 7-2 at Miller Park. — Cincinnati’s 2-13 record this season is tied for the worst 15-games start in franchise history, matching the 1931 Reds. Those Reds, managed by Dan Howley, finished 58-96. — Reds first baseman Joey Votto is one of three players to tally 30+ homers, 100+ RBI and a batting average above .300 in his career against Milwaukee, along with Hall of Famer Eddie Murray and Albert Pujols. — Ryan Braun has put together 49 multi-hit games against Cincinnati in his career. The only active players to have more are Pujols (66) and Yadier Molina (56).